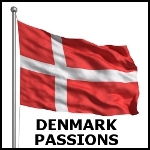 Denmark, my pride. I am Dane. Born and raised in Denmark, the land of the vikings Anyways I am proud of my nationality, and that is all I can say. Does braverakucha belong in this group? Does moonrabbid belong in this group? Morten In Vision Hej, mit navn er Morten og jeg leder efter en kvinde, jeg kan give min store kærlighed til..! Does morteninvision belong in this group?